Its culture czars hope that in 2015 Italy will finally cash in on its museums, historic archives, Renaissance and Baroque palazzi and archaeological sites. Until now, income from what is the richest single heritage in Europe yields a measly annual net profit of under $37 million. Needless to say, most of the income the heritage generates goes to paying the wages of personnel. Finally, after months of debate, on Dec. 19 Culture Minister Dario Franceschini signed into law a decree to relaunch the heritage sites with more help from private sources. ROME -- Is 2015 the year when Italy will finally cash in on its vast heritage of museums, historic archives, Renaissance and Baroque palazzi and archaeological sites? The country’s cultural czars hope so. Income from what is the richest heritage in Europe brings in only $466 million annually, but management of this publicly owned heritage costs the state $429 million so that the net profit is scant, at under $37 million. Needless to say, most of that income goes to paying the wages of personnel. What is to be done? After months of debate, on Dec. 19 Culture Minister Dario Franceschini signed a government decree, slated to become operative in January, to relaunch the heritage sites with help from private sources and sponsors. Some outside help is already arriving, needless to say. The managers of Pompeii have accepted a huge European Union grant for the much needed, and much delayed, restoration of the site. A private sponsor, Diego della Valle, is bankrolling the similarly necessary restoration of the Roman Colosseum, which began in 2014 after years of futile debate over conditions for accepting private sponsorship. Private citizens and groups are also contributing. An example is the non-profit Friends of Florence foundation, which is sponsoring restoration of Filippo Lippi’s “Annunciation” in the Basilica of San Lorenzo in Florence, commissioned by Niccolo’ Martelli for his parish church. This Renaissance masterpiece shows three episodes from the life of Saint Nicholas of Bari. How to turn a profit is not the only problem facing those responsible for the heritage. A law bill to improve the heritage was actually passed last summer, but implementation n has been slow, to the point that in November over one hundred eminent Italian art historians, architects, archaeologists, curators and university professors sent Franceschini an open letter listing fifteen serious wrongs afflicting the national heritage. The list began with a denouncement of the lack of qualified personnel including technical-scientific experts. Those in charge today are “in many cases seriously inadequate,” said the letter. Franceschini’s also hopes to provide Italian cultural sites with the sort of restaurants, cafes, book stores and guide services which make money in other countries. As the Italian press has pointed out, the New York Metropolitan Museum alone, in part thanks to its shops and restaurant, takes in profits that are about the same as those gained from all the cultural sites in Italy. Great Britain’s cultural heritage brings in at least $6 billion; the Louvre earns France $3 billion, according to Federico Fubini, writing in La Repubblica daily Dec. 21. The new law will also create 18 offices for management of the country’s key heritage sites. 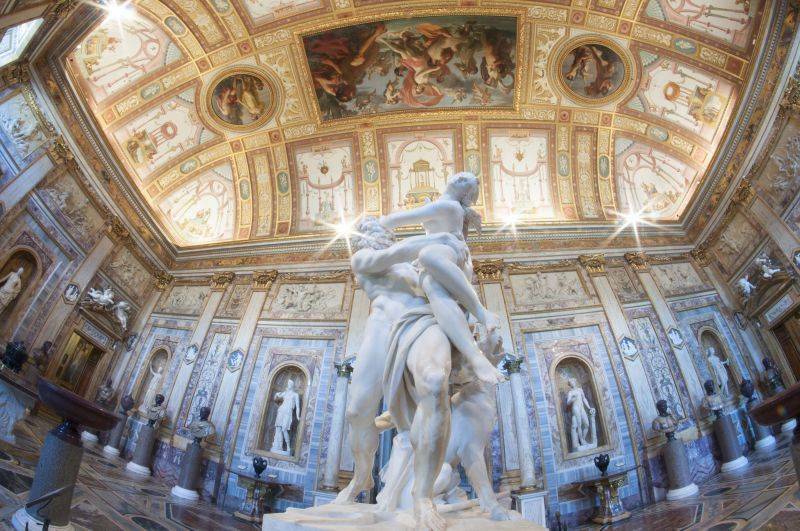 These include the Borghese Gallery in Rome, the Uffizi Museum in Florence, the Pinacoteca at Brera, the Reggio palace and gardens at Caserta, the Capodimonte Museum in Naples, the Polo Reale in Turin and the Ducal Palace in Mantua. If anyone doubted the problems that this heritage presents, in Florence, with some 300 quake tremors in late December, the over 14 ft. tall statue of “David” by Michelangelo is now at risk, and the national government has already committed $260,000 for construction of a quake-resistant base to underpin this over four centuries-old marble masterpiece. Not everyone is convinced. The Civic Gallery of Modena is proposing to replace its customary exhibition of works of modern art with a show from May to October 2015 of typical regional foods – the likes of tortellini, zamponi and balsamic vinegar, so as to take advantage of the proximity of Milan Expo. The museum director Marco Pierini resigned in protest Dec. 19, saying that the foods show would be “incompatible” with the museum’s mission.